Here you will find a wealth of information including research reports, newsletter articles, and calculators. We hope your visit will help you understand the potential rewards and opportunities that are available when you take a proactive approach to your personal financial situation. We hope this Web site will help you gain a better understanding of the financial concepts behind investing, wealth preservation, retirement, estate planning and insurance. Most importantly, we hope you will see the value of working with skilled professionals to pursue your financial goals. We are here to help educate you about the basic concepts of financial management and to give you fast, easy access to market performance data. We hope you take advantage of this resource and visit us often. 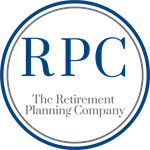 Registered Investment Advisory Services offered through The Retirement Planning Company of New England, Inc., a Federally Registered Investment Advisor. The Retirement Planning Company is independent of Institutional Securities Corporation. Sam Pappas and David Allaire are registered representatives of Institutional Securities Corporation.